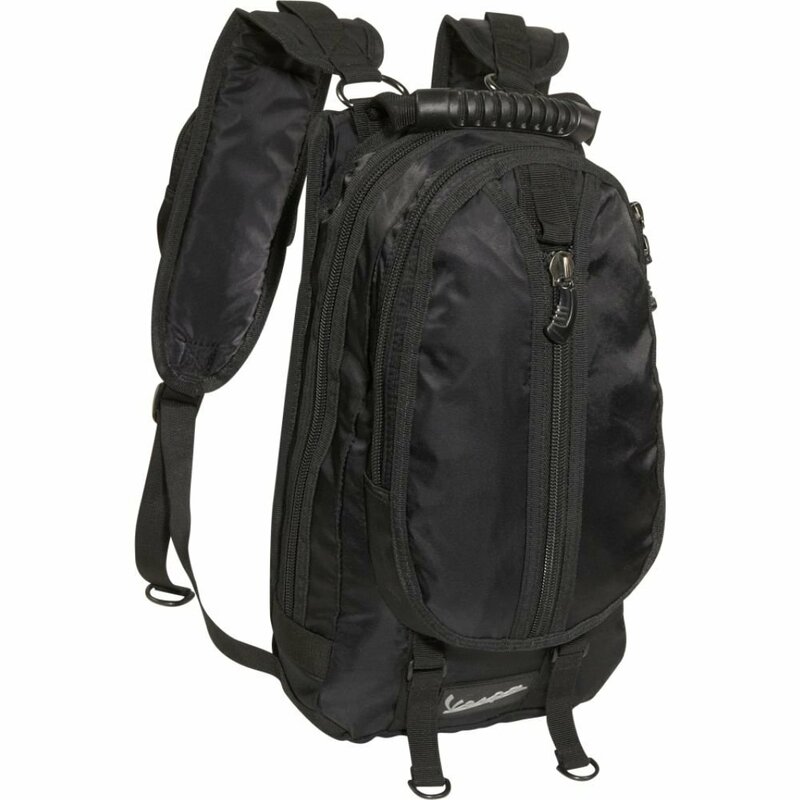 I know, beyond SW Radios, your secondary passion is which ‘bag’ will you use to pack your radios for a trip. I have admired your photos of your Eagle Creek Pack w/ Tecsun PL-380 & Sony AN-LP1. I searched high and low for something like your Eagle Creek pack and I stumbled across this $19.99 gem: the Vespa Mini-Backpack. It’s sold by eBags on their web site, via Amazon and also via eBay. Despite all three sites being the same vendor, eBay is the least expensive as they offer Free Shipping through that site [though looks like the price just nudged up a bit]. At $19.99 I’m amazed at what I can get into it: A 1st GEN iPad cloaked in a thick leather case with bluetooth keyboard, a PL-390 (I love the ETM for travel) and what I think is the most underrated Grundig of them all – the G6 Aviator (I have the BA Edition). Plus I still have room for my TG34 Antenna, my iSound 4 USB Wall Charger, (2) USB Cables, some spare rechargeable AA Batteries and a dual USB Car Adapter that can recharge my iPad and iPhone. Oh yeah, the Vespa has a cell phone pouch on one of the pack’s shoulder straps. All for $19.99 delivered from eBay. I have to admit, I haven’t had it long enough to testify to its durability but it seems to be built fairly well despite its price point. At twenty bucks I may buy a spare. Thanks, Troy! You know me well; I love backpacks and travel gear. You probably know eBags have a pretty strong following and good reputation amongst one baggers. I’ll have to check out this little bag. Thanks for sharing! This entry was posted in Travel and tagged Backpacks, eBags, Grundig G6, One Bag Travel, Shortwave Travel, Tecsun PL-380, Vespa BAckpack, Vespa Backpack Review on April 30, 2013 by Thomas.